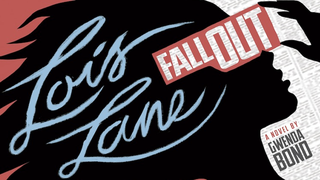 Lois Lane heads from the pages of DC Comics to her very own Young Adult novel this May, but you can read a teaser of what's to come with this new short story from Gwenda Bond detailing the young Lois' first day at a new school — and she's already getting herself primed for a future career at the Daily Planet. A Real Work Of Art, set in Bond's re-imagining of Lois as a young teen 'army brat' starting at a yet another new school, sees Lois enrol in an art class, only to find herself embroiled in a case involving a mysterious teacher. It's a pretty fun little short story — even though it's a younger Lois, the same gung-ho reporter that we're familiar with is still clearly in there — and it's nice to see DC foraying into the world of YA fiction with a female protagonist like Lois. Aside from the probably-very-obviously-Clark-Kent-because-ugh that is Lois' online pen-pal 'Smallville Guy', it sounds pretty good!